Your roommate won’t be quiet about his crummy sports teams? You just spotted your girlfriend with another guy? These are both excellent reasons to post this nose picker. 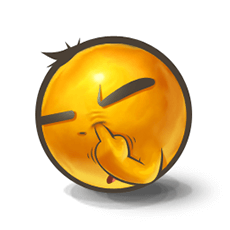 This emoticon has no manners; it’s true, but sometimes manners must be ditched to get your point across!